The last semester I was in orchestra, the five hours of weekly rehearsals began to weigh so heavily on me that one day, I did the very thing that I hated seeing others do: I pulled out my phone during rehearsal and started reading “Alice and Wonderland.” It was such a hypocritical moment for me that I realized how much I wasn’t enjoying the orchestra experience anymore. I didn’t blame composers for giving percussionists so little notes to play, but I did start to feel that my part only existed to serve the piece, to provide color when the composer needed some strategic booms and bangs. And even when I did have notes to play, there was an immense pressure to play accurately. To hit a note too softly or in the wrong spot was to risk a venomous glare from the conductor, who had an unspoken right to expect consistent perfection out of imperfect beings. After all, every one of our performances would inevitably be compared to countless other renditions of the exact same piece by community and world-class orchestras. I became hyper-aware that I was only one of many rusty gears that turned to make our colossal orchestral machine work. Of course, I could have chosen to view the orchestra as one giant team that works together to make music. But while I was struggling with the boredom of rehearsals, I was also grappling with my own individuality. I was supposed to reinvent myself and discover new interests at Berkeley, and yet I was falling into the same rhythm from high school: choosing music over everything else I loved to do. I didn’t plan to pursue a career in orchestral performance, yet I was spending much of my free time in Hertz Hall. At one point, when people asked me what clubs I had joined on campus, I couldn’t recall any other activities except for orchestra. Despite my growing dissatisfaction with UCBSO, I was unable to pass up an opportunity to perform abroad. I signed up to tour Eastern Europe with the orchestra during the summer of 2014. Tour was enjoyable, but it wasn’t particularly life-changing or spell-binding for me. It simply was. A month before I began my junior year at Berkeley, someone asked me, “What do you want to do with your life?” and I found myself struggling to give a solid answer. I began to dread back-to-school day, which was a new sensation for me. Usually, I couldn’t wait for a fresh semester to begin so I could explore new subjects, classes, and activities. But I had already accepted that my junior year would be a tedious routine. So when I received the email asking me to sign up for an orchestra re-audition, I sent them my preferred time and date as usual. I never dreamed that I would leave the orchestra after only two years. But the dream slowly began to take shape as the new school year loomed. I began to ask “what if” to my friends and family: what if I left the orchestra to write for the newspaper? To join other clubs? I was terrified to use the word “quit,” because I had always completed all four years of an activity in high school. I also donned a bad pair of “breakup goggles” and ruminated over all my fond memories. If I left, I would miss being in a tight-knit community and chatting loudly to drunk friends at post-concert parties. I would miss going on retreat and meeting the new members. I would miss standing on stage in all black, watching audience members stand up in waves to applaud us. I was desperately holding on to the idea of staying for one final semester to say good-bye to everyone. But in the end, I knew I couldn’t rely on others to make me happy. So I gathered the courage to cancel my audition and told my section leader I was leaving. After I said good-bye, I zealously signed up for jobs, activities, and DeCals that took place on Tuesday and Thursday nights. I filled my time with projects that forced me to be uncomfortable in many different ways. I saw that despite the mysterious, compelling hold the orchestra has on its members, people still come and go. Even now, I sometimes can’t believe I have the freedom to explore new interests, even though I had that freedom all along. And silly as it seems, I can now see how much bigger the world is outside of Hertz Hall and five-hour-a-week rehearsals. 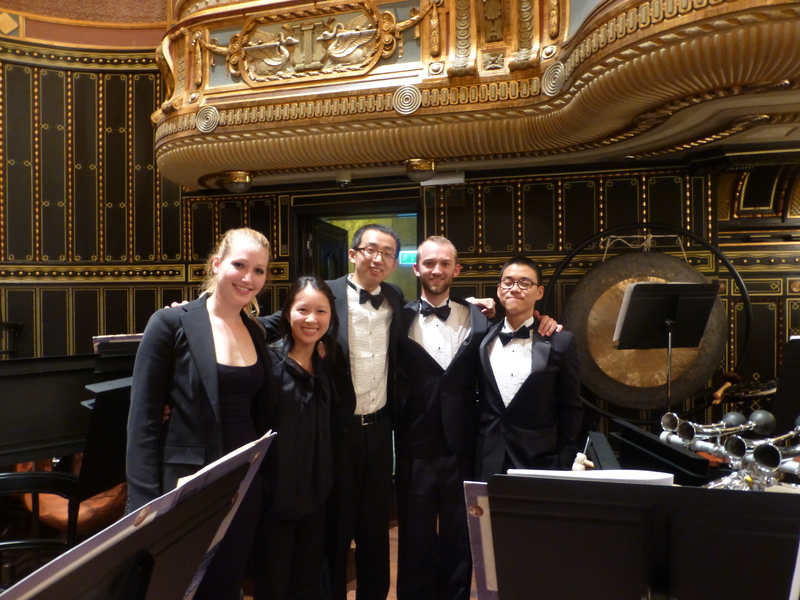 Months later, I still recall wonderful memories from my time with the UCBSO. 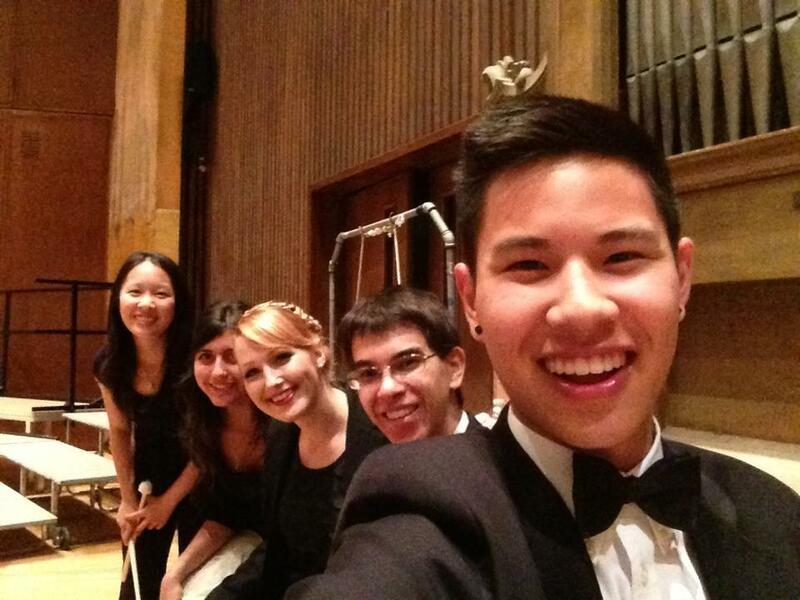 I still talk to and perform with my orchestra friends, many of whom are fellow music majors. Sometimes I mull over nostalgic moments and long to be back onstage when I attend UCBSO concerts. But what I desire more is to dedicate my time to chamber ensembles, the Undergraduate Composers Club, The Daily Cal, and other equally noble pursuits. I learned that if I’m dissatisfied with where I am, I’m allowed to take charge of my time and give my life the shape that I want it to have. Now I stand on my own podium and wave my own baton. And I have no regrets. Love the article! I have similar feelings but with slightly different context. Regardless, best of luck with your other pursuits, keep up the good stuff!